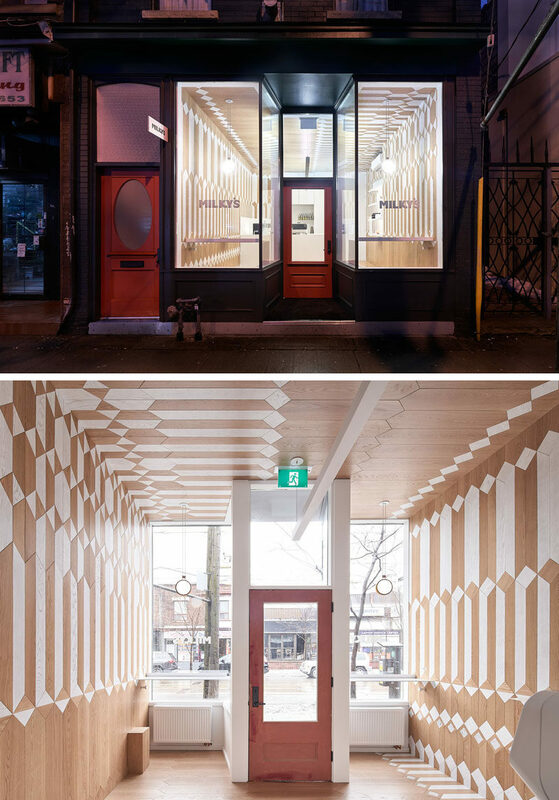 Batay-Csorba Architects has recently completed the design of Milky’s, a new cafe in Toronto, Canada. 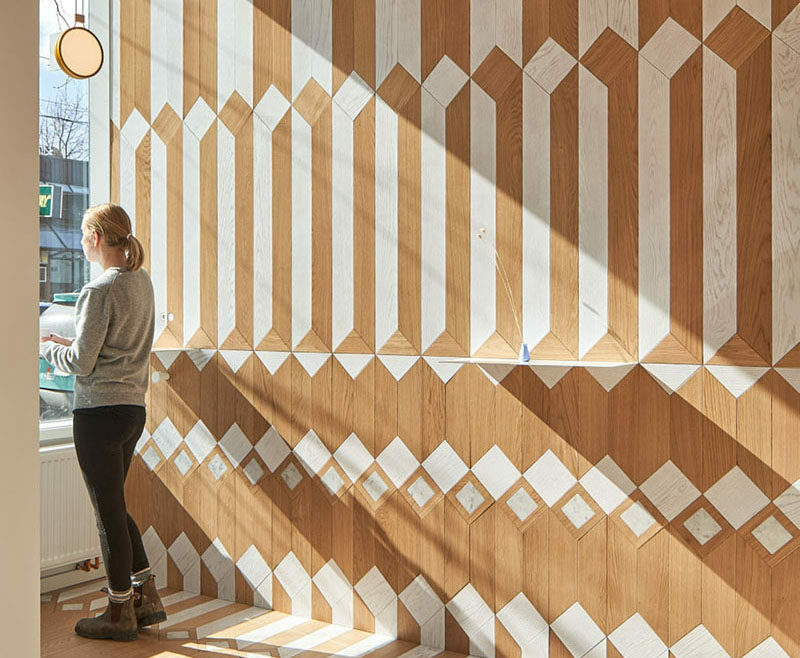 Once inside the furniture-free interior, there’s a couple of bar height counters for people to drink their coffee as they look out onto the street, while the walls, floor, and ceiling are covered in patterns. 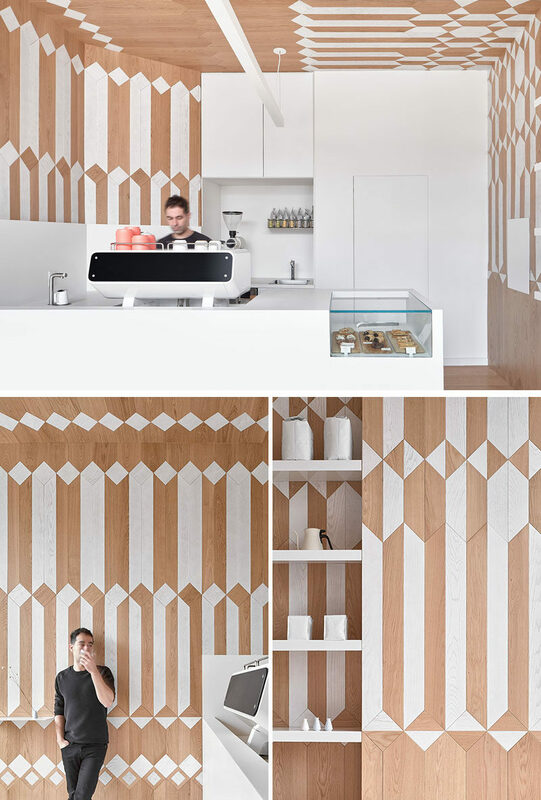 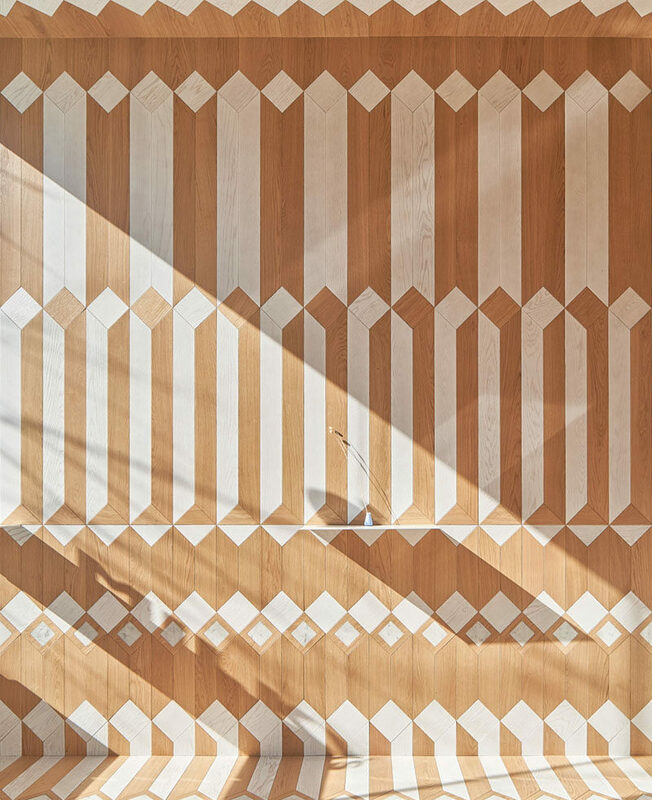 The geometric pattern uses white-washed wood and natural wood to bring the design to life, creating a fun and bright environment for people to enjoy as they pick up their coffee.